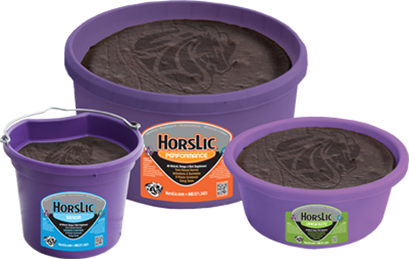 Choose the HorsLic supplement that’s right for your horses! HorsLic is available in three formulations to best match the requirements of horses of varying ages, reproduction status and activity levels. HorsLic Omega Elite is designed for additional nutritional support for breeding stallions, lactating mares and athlete horses. 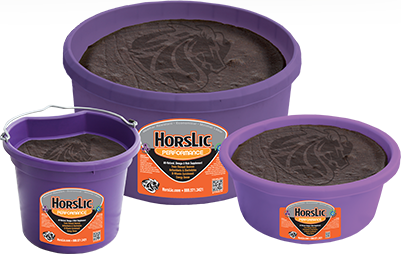 HorsLic Performance is formulated for light-to-moderate work out, pleasure or performance horses. 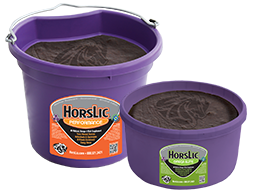 HorsLic Senior is designed for the specific nutritional needs of mature pleasure or performance horses. HorsLic is for any horse that’s in a pen that shouldn’t be in a pen. It’ll sell itself. Omega-3, like in HorsLic, has proven to enhance progesterone for successful pregnancies. Glad to hear it’s on the way! We believe in it and will use in every stage of development from weanlings to seniors, including our lactating mares.